Abigail was a woman well acquainted with hardship, negative people, rejection, and things not turning out as I’m sure she wished they would. But somehow she remained steady. And her steadiness proved to have a profound impact on the life of David. This is the David who defeated Goliath, who became the king of Israel, who, though he fell and faltered many times, God said was a man after His own heart. This David is the one from whose bloodline King Jesus would come. Humility gave Abigail the greatest advantage in this life-and- death conversation with David. Abigail was able to digest her life of rejection and unfairness married to a man named Fool and instead of choosing bitterness, she expressed humility which radically shocked David and which changed her life. 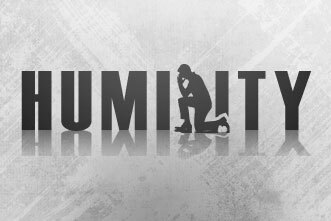 How can you show humility today in difficult and unfair circumstances? Share your comments or story today and let others learn from you.